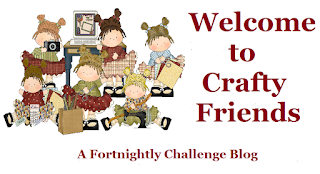 Hello dear blogging friends: The SHOPPING OUR STASH has a challenge for you this week in which we are going to remember Jessi Fogan, one of the members of this team who passed away on December 27th. 2018, she was 42 years old. So all of us are paying tribute to this warm, funny, creative, beautiful and caring young woman who left this Earth way too soon. After browsing through her blog and trying to choose among all of her wonderful cards for one to CASE, I finally came across the card I wanted to recreate so, here is my card inspired by Jessi's beautiful creation. The pattern papers are from my stash and the cute Santa image, who's reading the "Nice List", is from a retired Stampin' Up! set called "Forest Festivities" that came out back in the 2011-2012 Holiday Mini, I stamped it on white cardstock with Stazon black ink and colored it with Prismacolor pencils. I was inspired by THIS CARD FROM JESSI from a post back in January 2015. The sentiment is from a Power Poppy set called POINSETTIA and the little Poinsettia is from another Power Poppy set called MERRY LITTLES, which is one of my favorite sets to finish the inside of my cards. If you want more inspiration, go check my teammates' blogs or stop by the SHOPPING OUR STASH challenge. So I hope you go visit Jessi's blog, browse her posts for a bit and find something to inspire you. You can read the beautiful post our teammate Donna wrote about Jessi HERE, there is a beautiful picture there of this beautiful lady. 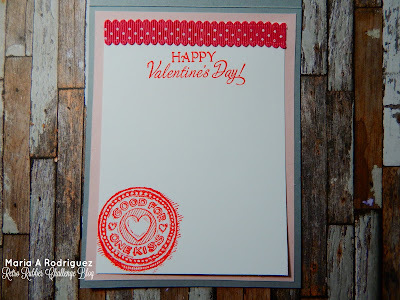 Hello everyone: Well, Valentine's Day is almost here so my teammates and I over at RETRO RUBBER want to inspire you to create some pretty cards to send to those you love. 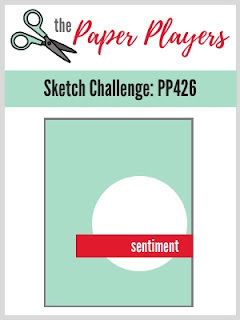 This time around we want to see you use ribbons on your love themed cards. Here's my card and I hope it inspires you to come and play along. 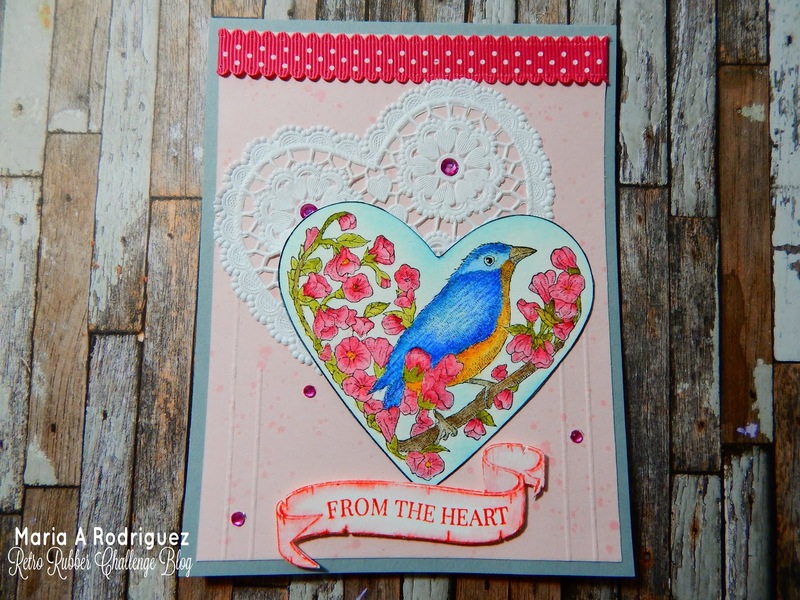 This image is from a retired Stampin' Up set called "Take It to Heart" from the 2012 Occasions Mini. I stamped the image on watercolor paper with Stazon black ink and colored it with SU markers and Prismacolor pencils. I found some heart-shaped doilies in my embellishment drawer that were the perfect size for my card. The ribbon on the top is also from SU and it's retired. 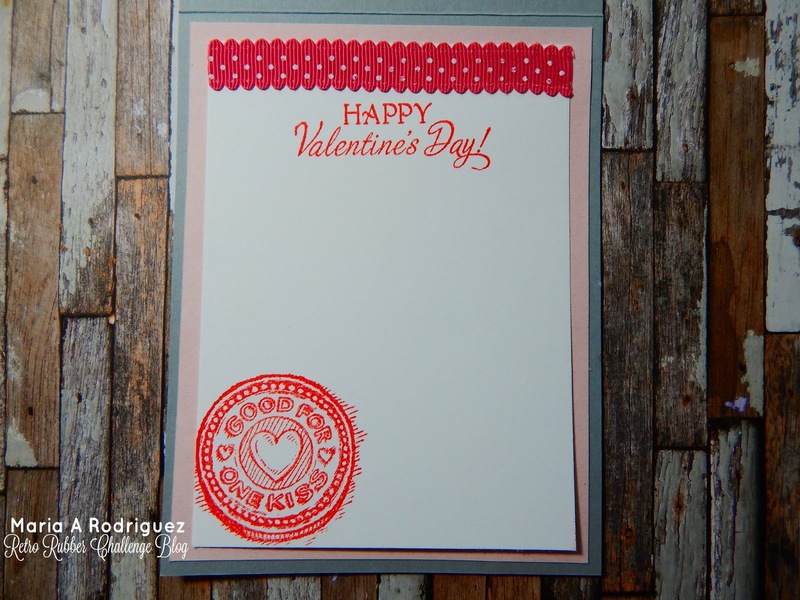 The sentiment and the token are from a Flourishes stamp set called "Token of my Affection. So come along and play with us, check out the RETRO RUBBER challenge blog and be even more inspired by my teammates' creations.